AMAZING LOCATION! 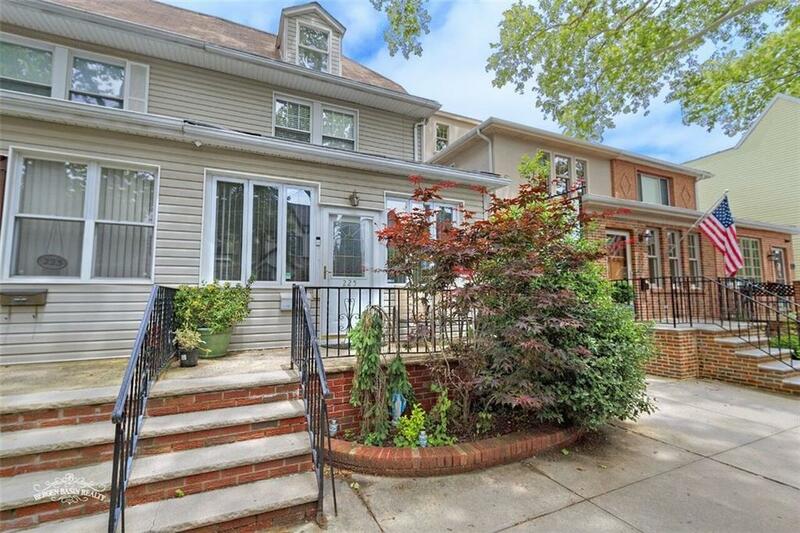 1 family semi-detached 4 br triplex with 3.5 baths, Perfectly located on a quiet, tree lined block but only steps to all the conveniences you could ask for. Sitting pretty on 90th Street between 3rd Ave. & Ridge Blvd. stands this tastefully done spacious home. Top floor consists of a 1 br suite, middle floor has master br with bath/walk in closet and shares the floor with 2 other nice size brs and 1 bath. You will get the instant "this is my home" feeling when you open the front door in a nice size sunroom with French doors that open up into your 10ft ceiling. LR w/parquet fls overlooking your FDR and EIK. The basement has been dug out almost 2 ft for volume ceilings and has been completely gut renovated! This Gem has c/a, new roof and closets galore! Parking for 2 cars, 1 car attached garage.